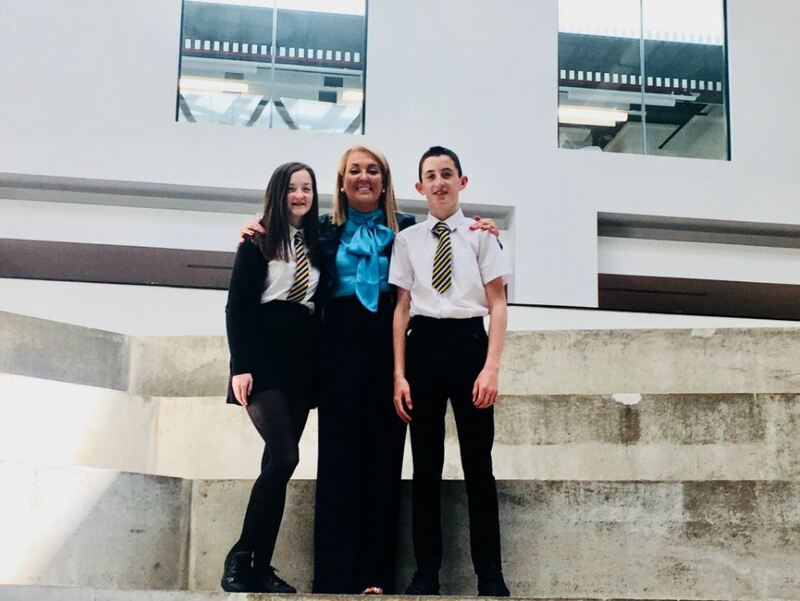 On her visit to the brand new William McIlvanney Campus, which incorporates the old Kilmarnock and James Hamilton Academies, Marie met with S3 students Emma Kavanagh and Callan Duncan to talk about a prototype they have created for a kids’ toy box in the shape of various different animals. The kids are currently studying Business Management and they were thrilled to have Marie at the school to talk to them on how to succeed in such a competitive environment. 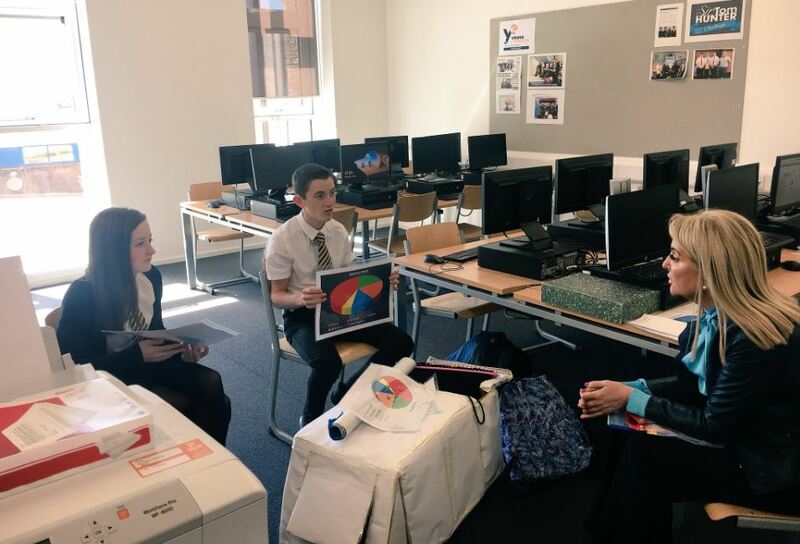 As well as giving Emma and Callan some invaluable advice on their business plan and presentation, Marie also spoke to them about the HALO and how the urban regeneration project will deliver sustainable, long-term economic and social benefits for Kilmarnock, Ayrshire and wider Scottish Communities. Marie Macklin CBE said: “I have had a fantastic time today at Kilmarnock Academy. I would like to thank the students for personally inviting me to the school and only hope they can use the advice I was able to share with them. “Kilmarnock has produced many wonderful business leaders over the years and it was really pleasing to meet some of our young entrepreneurs of the future and hearing all their brilliant ideas, they were bursting with creativity and innovation. The Sir Tom Hunter Challenge promotes entrepreneurship and economic awareness in young people. 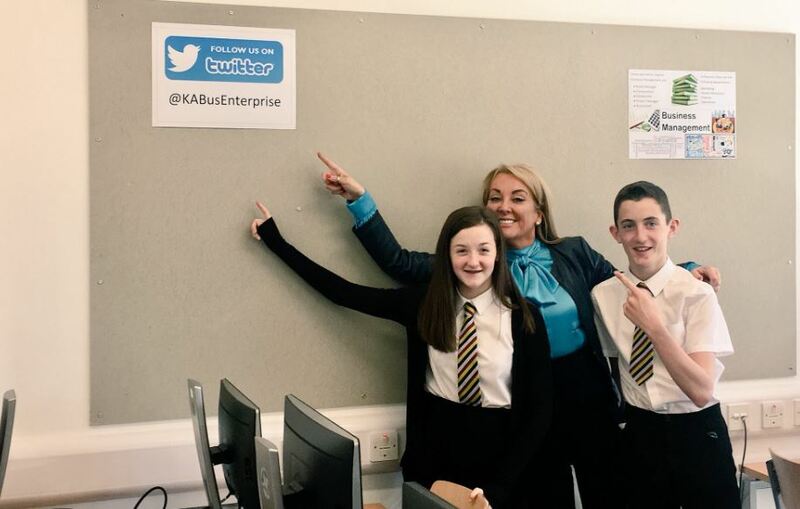 It was introduced as part of East Ayrshire Council’s sector leading business enterprise programme, designed to develop entrepreneurial skills and help make young people ‘business ready’.